If Google Chrome is not as fast as it used to be, you can install a dedicated extension to speed it up. In this article, we’ll list the best extensions to speed up Chrome and enjoy a better browsing experience. Thanks to this Chrome extension, you’ll wait less, and browse faster. This tool works by blocking the elements that you don’t really need when surfing the Internet, such as ads and trackers. In this manner, web pages load noticeably faster without damaging image quality. 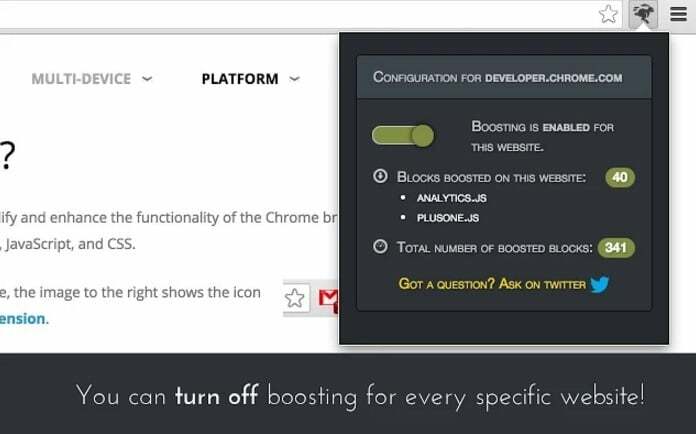 Web Boost is a free and open source software that you can download from the Chrome Store. You can also check out the source codes at GitHub. This extension help Chrome browse 27% faster and use 17% less bandwidth. At the same time, it reduces the time to open the search result by half. 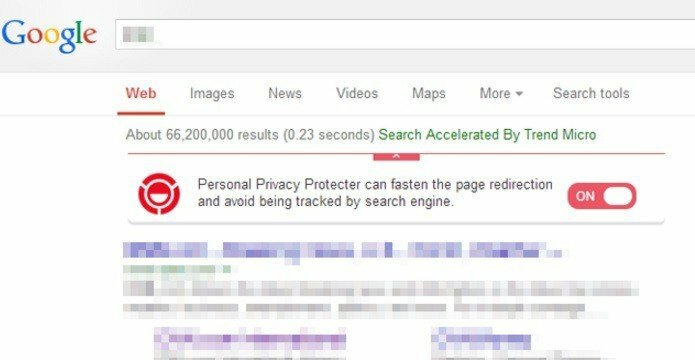 This Chrome extension also protects your privacy and prevents websites from tracking your online activity. 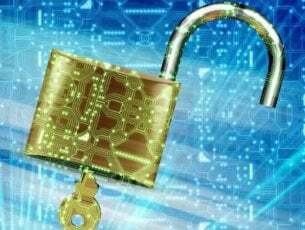 Regarding your privacy online, we recommend a full-dedicated tool to secure 100% of all your internet access. Get now Cyberghost VPN (77% flash sale). It protects your PC from attacks while browsing, masks your IP address and blocks all unwanted access. You can download Better, Faster, Private Browsing for free from the Chrome Store. If you haven’t cleared your browsing data for quite a while, Chrome becomes slow. 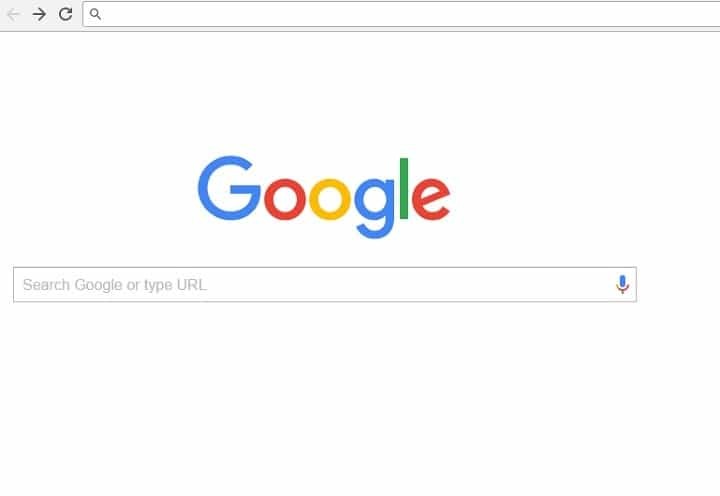 You can help Chrome browse faster and protect your privacy by getting rid of cache, history etc. cache, cookies, the list of downloaded files (but not the downloads), fileSystems, history, localStorage, pluginData, passwords, and webSQL data. 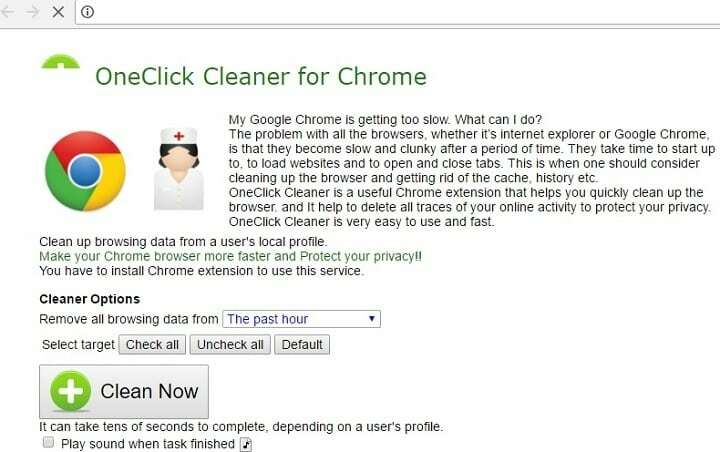 You can download OneClick Cleaner for Chrome for free from the Chrome Store. This Chrome extension speeds up browsing by adding missing Cache-Control response headers. Downloaded images and scripts are used once again to load page significantly faster. If you’re on a slow or metered Internet connection, this extension will work wonders for you. Speed Up Browsing also lets you change the max-age value for images/scripts/css independently. However, it increases the disk space used in C: drive overtime. If you have limited drive space, you should install another extension. You can download Speed Up Browsing for free from the Chrome Store. 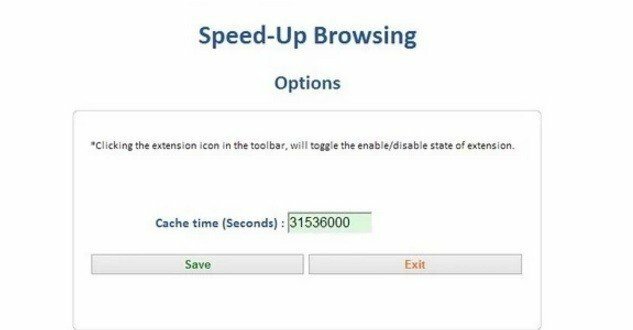 This extension improves your browsing speed by 15%. The Auto Scroll feature automatically loads the next page before you reach the end of the current page. 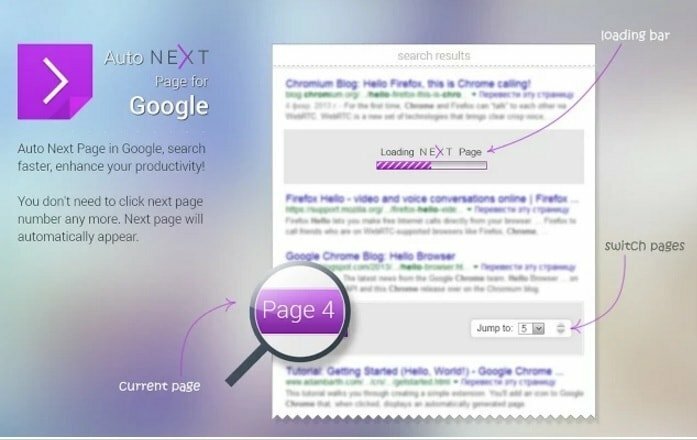 The Floating Search feature allows you to search and type faster for a better Chrome browsing experience. Important note: our readers reported that Google officially acknowledged that Better Browser has a piece of malware in one of its scripts. 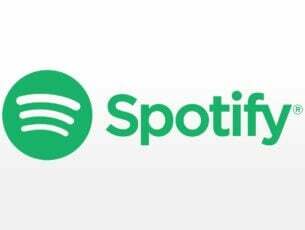 Some of our users strongly recommended searching for version 1.5.3 on the internet as it is safe. We suggest you to secure yourself before that and to install a good antivirus on your PC and a PC optimizer as they could help you with your browser’s speed. You can download Better Browser – for Chrome for free from the Chrome Store. If you’ve used other Chrome extensions to speed up your browsing experience, you can list them in the comment section below. Editor’s Note: This post was originally published in January 2018 and has been since revamped and updated for freshness, accuracy, and comprehensiveness.